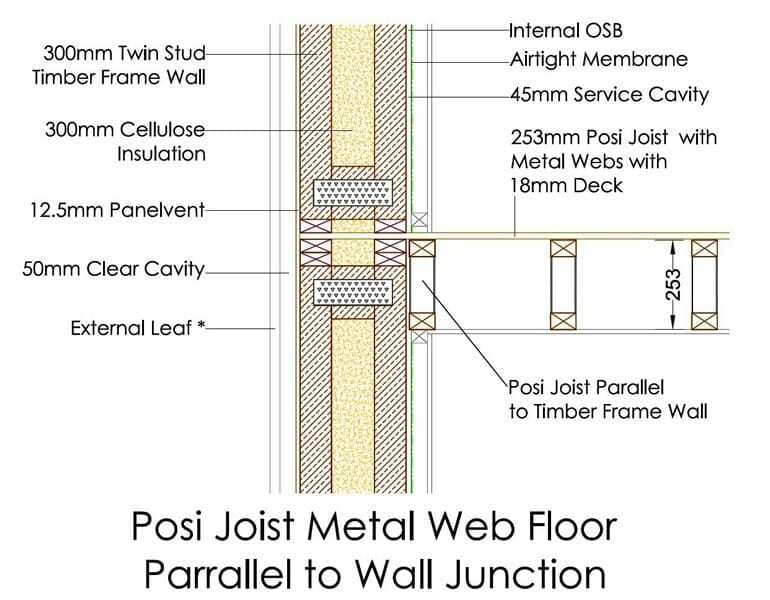 Posi metal web joists are an engineered system that combines the beneficial elements of I-Joists with the practical advantages of open web construction. 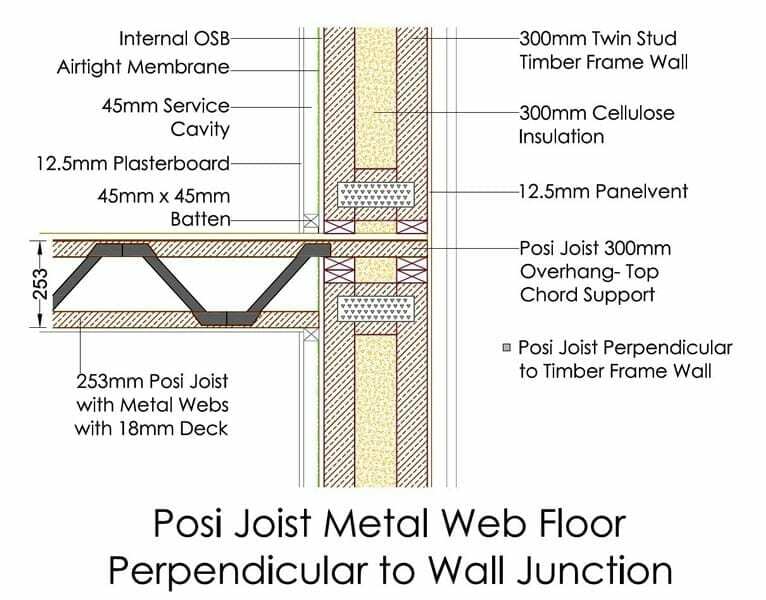 The posi joist sees parallel stress graded timber flanges, plated together with a precision engineered galvanised steel web component. The steel webs are plated in a ‘V’ formation, providing a lightweight structural joist that can span greater distances in comparison to a standard solid joist and allows for easy installation and access of services throughout the building. The depth, length and specification can be adjusted and engineered to produce joists with specific performance criteria throughout the building. 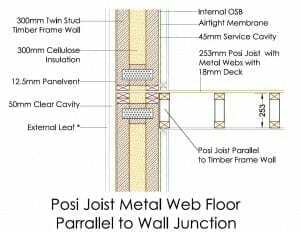 Posi metal web joists compliment each of our three MBC wall systems as they are quick to manufacture and install on site, similar to the timber structural timber frame wall panels. 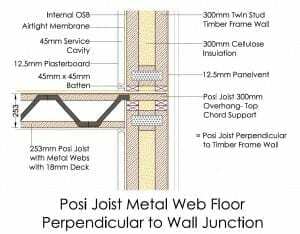 Posi joists can be used in both the floor and roof construction of a project. Sound performance within a building is greatly improved with the utilisation of posi joists, as they reduce vibrations and squeakiness within floors. Material wastage is completely eliminated as each joist is designed and crafted off site in controlled conditions, guaranteeing superior product quality and attention to detail. At MBC we manufacture our Posi Metal Web Joists in accordance with the MiTek Industries design requirements. The following clip details the versatility and benefits of Posi Joists in Timber Frame Houses.